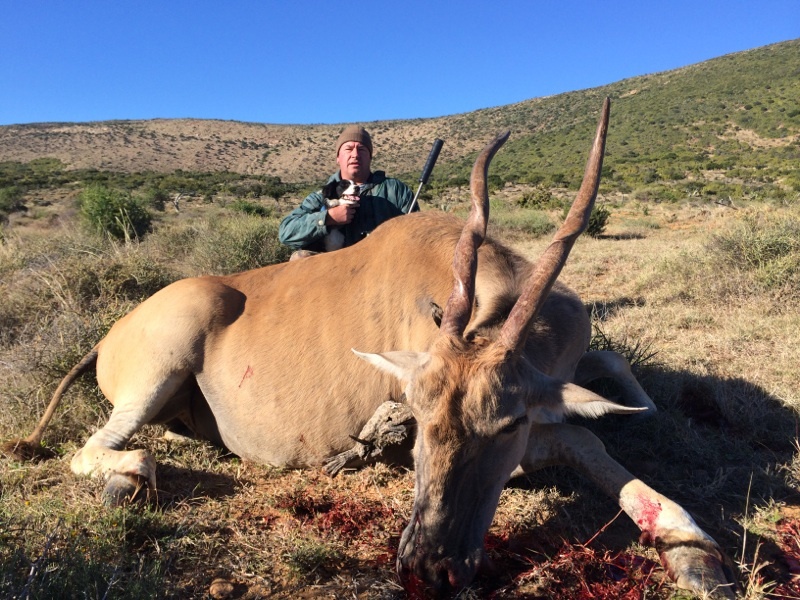 This eland cow was shot with my 270 Winchester and the 110gr HV bullet from GSC. The distance was about 150 metres and the eland was quartering away at a severe angle. The shot entered quite far back on the right hand side and went through the stomach to the opposing shoulder where it lodged under the skin. The entrance of the bullet can be seen between the last rib and the back leg. The total penetration was about 105cm and the eland slaughtered out at 220kg.